Wow, great job. 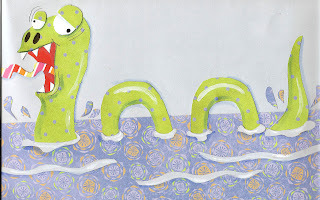 I like your lochness character design, and I LOVE the pattern on the water. That's something I would never think to do. Nice work. Love the lochness monster. Great job!!! Wow, what a fun and whimsical interpretation of Nessy. I enjoy your work.